Preserve foods and prevent food-borne illnesses by freezing these refrigerator temperature recommendations into your memory. 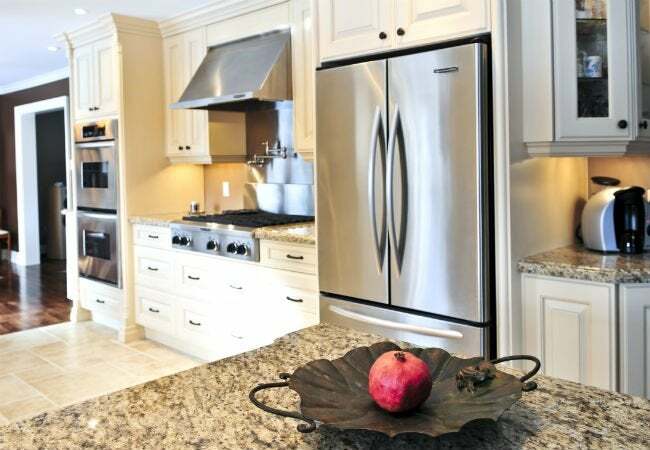 The kitchen is the heart of the home, a place for cooking, eating, and gathering with friends and family. But oftentimes we’re so focused on maintaining the perfect temperature for guests’ comfort that we forget to create a welcoming environment for another VIP at the dinner party: the food in our fridge. In an overly hot or extremely cold refrigerator, your culinary creations can perish at a quicker rate and run the risk of developing microorganisms like Salmonella and E. coli. By maintaining an ideal fridge temperature, you can slow or stop the invasion of bacteria while also maintaining the flavor and texture of your food. While most modern refrigerators contain adjustable temperature dials and displays, they are not always a true measure of the fridge forecast. More confusing yet, some compartments run at different temperatures from others (the doors may be warmer zones while the bottom and back may be cooler). 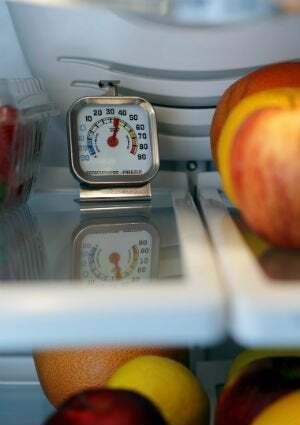 For the most accurate overall reading, pick up an inexpensive fridge thermometer and set it in the center of the middle shelf. The lucky numbers you should aim for are between 35 and 38 degrees Fahrenheit, as that range is high enough above the freezing point (32 degrees) to stop your celery from turning into icicles, yet low enough below 40 degrees—the point at which bacteria starts to triple (yes, triple)—to keep foods safe. After finding and adjusting the general temperature, set the thermometer in the different sections of your fridge to gauge the variations, and then arrange your food accordingly: dairy products and eggs in the chillier zones, and condiments in the warmer ones. And don’t forget about the crisping bins at the bottom of the fridge, as they can play a similarly vital role in keeping produce fresh and vibrant. Use the click or toggle settings on the bins to adjust the humidity higher or lower. Store quick-to-rot produce like apples and pears at a lower humidity, while reserving quick-to-wilt greens like lettuce for the higher humidity bin. After setting the optimal fridge temperature from top to bottom, you can rest easy knowing your food is being properly preserved.